Orange County Plastic Surgery in Newport Beach, CA, offers the latest laser technology on the market for laser skin resurfacing treatments. This nonsurgical treatment works to dramatically reduce facial wrinkles, scars, uneven skin texture, and other unwanted blemishes. Also known as a "laser peel," or "lasabrasion," laser skin resurfacing is an effective treatment for patients who desire smoother, younger looking skin. Common treatment areas include the face, chest, and neck.The high-end genesis laser technology will gently heat the outer most layer of skin to reduce skin imperfections, promote new skin growth, and collagen production. With laser genesis there is no down time following the procedure and the results with leave you with softer, clearer, and younger looking skin. 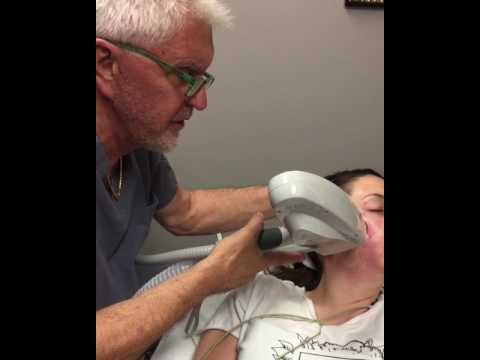 Plastic Surgeon, Dr. Juris Bunkis, can discuss all the benefits of laser skin resurfacing during your initial consultation at our Newport Beach or Dublin, CA, practice. "wonderful ~ - Dr Bunkis is one of the best out there. :)thanks for my beautiful result...."
"Excellent Facial rejuvenation - 10 years younger - So glad I did facial rejuvenation (face/neck lift, eye bag removal, jowels gone, Pearl laser face/chest) at age 60. My neck is also slimmer - I look like me, only 10 years younger. MD Bunkis was attentive to my desire to still look like me - just freshened, healthy and younger. My twenty-something daughters concur that his work was excellent. It's 8 days post surgery and I'm thrilled with results. Entire staff is accessible, friendly and knowledgeable. Excellent results. Excellent Harvard trained MD. So glad I did this for myself. No regrets. Best gift to myself for turning 60!" "Always a perfect experience. Dr Bunkus is the best as well as his staff - Always a perfect experience. Dr Bunkus is the best as well as his staff. Always a wonderful experience. Thank you. Kim"
"Pleasantly surprised with the professionalism as well as personal treatment - don't know why I was... - Pleasantly surprised with the professionalism as well as personal treatment - don't know why I was surprised - I've only heard good things about Dr. Bunkis & Team. I concur!!" "Am hoping for the new machine for acne scarring! :-)You are all fab! - Am hoping for the new machine for acne scarring! :-)You are all fab!" Our goal is to provide you with the most optimal care possible and in order to do so, a thorough examination must be conducted. This allows us to learn and understand your skin condition and determine if laser skin resurfacing is right for you. Once all your aesthetic needs and goals are understood, a treatment plan will be developed and a treatment session will be scheduled at your earliest convenience. You will receive protective eyewear before the procedure begins and comfortably seated in our luxurious treatment room. The laser genesis skin resurfacing treatment will then be used on the target area to gently heat and reduce unwanted skin blemishes. Most patients do not experience any discomfort during the procedure but rather enjoy the therapeutic heat the treatment produces. When undergoing any type of cosmetic treatment, it's important to have realistic expectations. The number of treatments required to produce optimal results will vary on your treatment area, skin type, and aesthetic goals. However, it is very common for patients to receive 4 – 6 treatments spaced 3 – 4 weeks apart. Some great benefits of genesis laser skin resurfacing is, the long-lasting results, no down time, and the short treatment time. Sessions usually take 20 – 30 minutes to complete. If you are interested in laser skin resurfacing, call or visit our office today to schedule a private consultation. We will be happy to sit down with you and discuss all the benefits of laser skin resurfacing.